The New Year means new savings for you at All Star Ford in Denham Springs! Hurry in to All Star Ford in Denham Springs right off of I-12 across from Bass Pro Shops, and take advantage of these amazing offers! Drive home in a new Ford Fusion SE for only $16,990! This sedan is priced to sell! Every new 2017 Ford F-150 in stock gets $10,250 off of the MSRP! Plus an additional $12,000 off if you finance through Ford Credit! This offer will not last long! Come and get a truck that works for you! In the market for something a little more heavy duty?! Every new, in stock 2017 Ford-250 Super Duty is receiving $8,750 off of the MSRP! Plus an additional $10,000 off if you finance through Ford Credit! Drive home today in a Super Duty with a super deal! Any new 2017 Ford Fiesta is only $10,990! We have amazing savings on every new 2017 Ford Escape, Edge, and Explorer! Take $8,000 off of the MSRP! Stop by and let us get you into the ride of your dreams! These offers wont last long, so come to All Star Ford in Denham Springs, and take advantage of these savings! I had a great experience at All Star Ford. They took really good care of me, gave me what I asked for my trade and set me up with the deal and vehicle I wanted! I highly recommend them to anyone looking for a new or quality used vehicle. The fall season has arrived, and it has brought all of the wonderful fall festivities along the way! This is the time of year to get outdoors, without breaking a sweat. This month is called Oktoberfest for a reason, and we are here to give you some reasons to get out the house this weekend! Nothing is more fun than going to festivals, and participating in the events that are offered around town. On October 28th, the Taco Festival Lafayette will be taking place at Moncus Park! There will be live entertainment, fantastic food, and of course, lots of activities! General admission is $14, and the tasting pass for 10 samples is, $20. For more information, visit their website at: https://thetacofestival.com/. If the Taco festival just wasn’t enough to satisfy your taste buds, then make your way over to the Louisiana Pecan Festival! The festival will take place on the first full weekend of November, in Colfax. There will be delicious food, live music and much more! The weekend will kick off with Children’s Day, which entails a petting zoo, fun jumps, and rock walls! This event is free to the public! For more information, visit their website at http://www.lapecanfest.com/. These are just a few of the amazing fall events that are going on in our backyard. Nothing is better than spending some quality time with the family, in the great outdoors. We recommend you get out there, and enjoy some of the great cooking these festivals are offering. The crisp and clean air of the fall season has finally emerged. Why not bring the fun of fall crafts and activities into your home this season?! The best memories are made when families are spending quality time together. We have curated a few crafts and activities that you and your family can participate in this fall season. The simple things in life matter the most and are the cutest. Try making some little pumpkin handprint cards. These cute cards are the easiest and most rewarding to make. Just take your child’s hand, apply an orange paint and place their hand in a pumpkin shaped drawing. You can also use one finger to make the stem of the pumpkin. This can be added to your keepsake collection, once fall has faded into memory. If you aren’t too crafty but want to do something memorable with the family, try going to the levee and watch the sunset. The beautiful colors that are created in the skies while the sun is setting speaks fall. From orange to red hues, this time during the evening could not give off a better ambience of a fall setting. Also, photography for your family album can be captured here! Don’t let dusk become a meaningless word in your household! Take full advantage of what nature brings this fall season! Tailgating has been taken to new heights over the past years. This tradition has turn into its own stand alone sport. There are plenty of tailgating competitions out there this football season! If you are thinking about competing, here are some tips from the All Star Family, that will take your tailgating game day party to the ultimate level! Masons Jars are your friend when it comes to the big day. They have become a phenomenal in their own way. You can serve just about anything in these cuties. Chili and cornbread, barbecue sundaes, and a seven layered dip just to name a few. 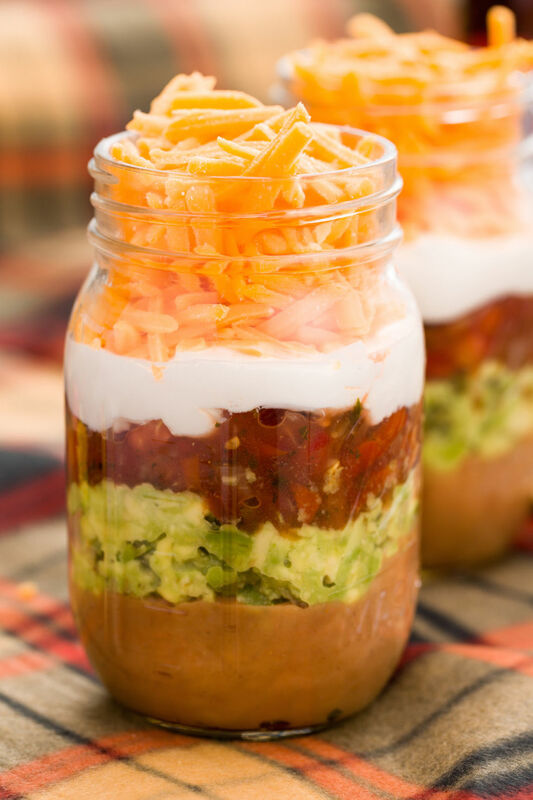 We do not foresee these little jars going away anytime soon, so make these part of your game day plan! It’s not a game unless there are fans there to attend. 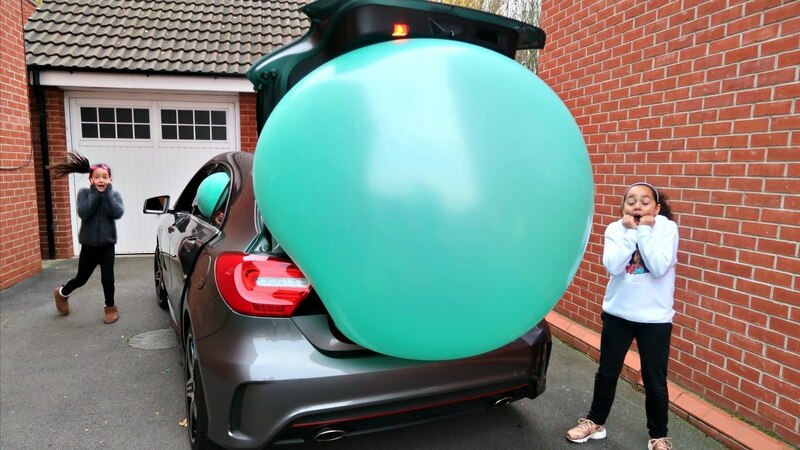 Make your tailgating location conspicuous by floating a huge helium balloon on a very long string from your vehicle. You are for sure to be found by your friends. Get in the team spirit and find yours team’s initials or mascot. No one would have more team spirit than you, if you go the extra mile to ensure you are a true fan. What good does it do if your space is all set up in the team spirit and you are not?! Make sure your game day attire is appropriate for the team you are supporting. This is your chance to be one of those zealous fans that you see on the television. Be the clutch player and bring some accessories for your friends as well. Everyone needs to be on the same team- in your tailgating party! This tailgating season will be a blast for you with these amazing great tips! You and your favorite team player will definitely take home the award for the most valuable player of the evening. Little thoughts like this goes a long way, especially on a day of tailgating. We want you to consider these tips before your next tailgating party! The Labor Day weekend has now come in full effect! There lots of memories to be made out in our awesome city this weekend! From outdoor celebrations to outdoor meditations. We have gathered a list for some cool festivities for you and the family! Take full advantage of this three day weekend and make some of the listed activities from the All Star Family your reality! It’s time to celebrate the oldest Zydeco Festival this Labor Day weekend in Opelousas; the Zydeco Capital of the world! This weekend at the Zydeco Music Festival will food, crafts, and entertainment for the entire family. The creole culture and zydeco music will definitely keep you and your family entertained. They are going to be paying tribute to featured artist, Grammy Winner- Chubby Carrier, and others! The festival will be held at the Yambilee Festival Grounds off Highway 190, (1939 W. Landry,Opelousas), from September 1-2. The gates will open at 8:30 a.m. and close at 12 O’ clock, Midnight- or until the festivities stop. This is definitely going to be a great time for you to get out and spend some upbeat quality time with the family or friends! Did we mention there will be great food and arts and crafts there as well?! Admission to Zydeco Country is $15 for adult, and $5 for 12 years and under. The LSU Lakes are always a great option for families who are wanting to spend more of a quiet weekend and away from the hustle and bustle of the city. This silent, and serene location is great to sit back and be one with nature. There you can bike, kayak, and much more. No worries if you do not have the outdoor gear on hand, LSU UREC has all the gear you need for for this relaxing, adventurous spot! Rental gear can be purchased at UREC. This definitely the spot to be to spend quality time with the family, and the best part is- free admission! Come and explore the brand new Knock Knock Children’s Museum this Labor Day weekend. The museum debuted on August 22nd, so come and be among the first to enter the Knock Knock Community! They have 18 hands-on learning zones for the best experience for your kiddos. The Knock Knock space is tailored specifically for kids, so it will definitely keep them intrigued! Did I forget to mention how artistic and wonky the building is? Well this is for sure the spot to be this labor day weekend , if you want to get away from the more traditional approach. We definitely recommend you and your family getting out of the house this weekend to commemorate this Labor Day Holiday! There are plenty of things to do in our city and the surrounding areas. This is one weekend to make joyful memories with your loved ones! These exciting opportunities await for you and your family! Want great savings and a hot ride? Well look no further than here at All Star Ford! We are offering some amazing deals on our 2016 vehicles. We have a lot of 2016 Fords to choose from here at All Star Ford. Why not come choose the ride of your dreams and receive surprising savings in doing so. If you are more of fast card driver, then this 2016 Ford Mustang EcoBoost will be the ride for you! This 2016 Ford Mustang EcoBoost is loaded with astounding features that will win you over, as it did for us. This is a great vehicle for people who like to live in the fast lane, or for anyone who really likes to feel Fast and the Furious themselves. From its sleek exterior to its luxurious interior, this 2016 Ford Mustang EcoBoost will be all you need to close out this year. This 2016 Ford Mustang is a great fuel efficient coupe that will get you 22 MPG, in the city, and 31 MPG, on the highway. Overall, this is an amazing vehicle for someone who wants to look amazing on the road, and also have those modern necessities in doing so! Hurry in, while the deals are hot! All Star Ford is a proud member of the All Star Automotive Group, and carries the Ford line of products; which are some of the most reliable and dependable vehicles in the world. We serve Baton Rouge, Livingston, Denham Springs, Baker, and Zachary. If you are in the market for a Ford, come by our Dealership at 2586 Range Park Drive in Denham Springs and experience Sales, Parts, Service and Collision that is really All Star! I scheduled an appt with Aaron to have the transmission flushed on my wife’s Expedition. I dropped it off and ran some errands they called me right when it was done. I have used every Dept at All Star Ford sales, service, parts and collision and all employees are top notch! At All Star Ford, we understand how stressful and costly it can be to purchase a new vehicle. But we are here to help take all of the stress away and find the perfect vehicle that can fit your budget! This 2015 Ford Focus SE is a great vehicle! It has lots of features, low mileage and the price has just been reduced! And because this 2015 Ford Focus SE is a Ford Certified Pre-Owned vehicle, you will also get 24-Hour Roadside Assistance, 12 months/12,000 miles Comprehensive Limited Warranty Coverage, Vehicle History Report, 7-Year/100,000-Mile Powertrain Limited Warranty, 172-Point Inspection and Reconditioning! You will have a piece of mind knowing all of this vehicle’s history and having extended coverages! This 2015 Ford Focus SE is a great vehicle! It is Ford Certified, Carfax One Owner Certified and has recently been reduced in price! All-in-all this is a great vehicle for a new driver or a small family. For more details about this 2015 Ford Focus SE, click here!